We understand that some of you may be travelling overseas during the school holidays in Nov/Dec 2018. Please complete the on-line Travel Declaration Form and also update the school of unplanned travels once school opens on the first day of school. 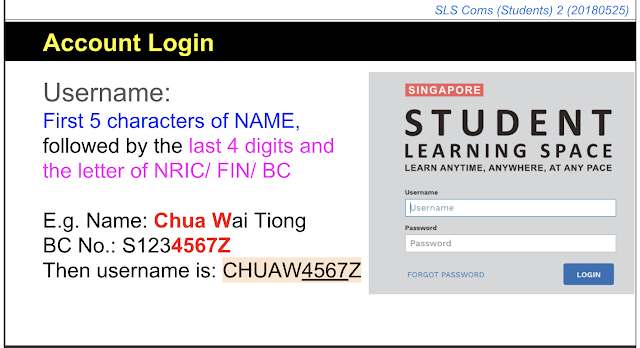 Only Sec 1 to 3 students (2018 Class) will need to complete the form. You do not need to complete the form if you are travelling on a OLE trip organised by the school. This information is vital to help us safeguard all our students' health. Since the rollout of the SLS, new resources have been added, under the MOE library section. 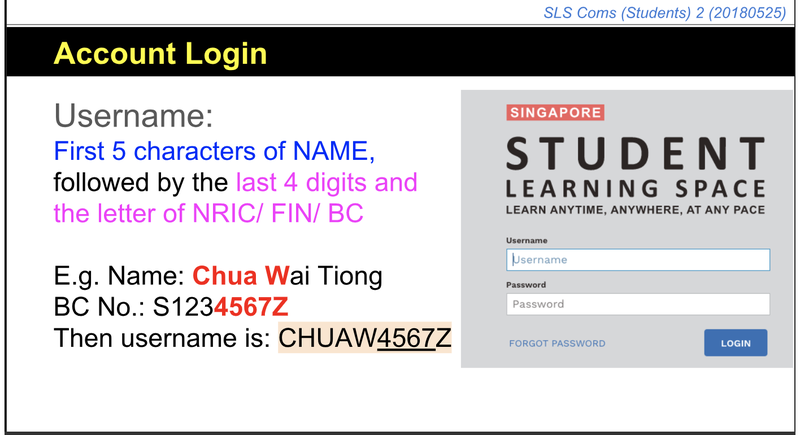 You are encouraged to access the resources (in the MOE resource library) and continue to touch base with your learning during the school holiday. You may wish to take the opportunity to explore new topics to extend and deepen your learning on your own, or to strengthen areas have identified. 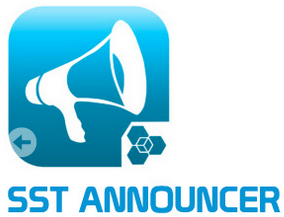 Updates: Report to ISH for morning assembly on 22 Oct, Monday. Wear full school uniform and report to ISH for morning assembly, unless otherwise stated. Do you have a passionate, dedicated and effective SST teacher who has positively impacted you in your learning and beyond? Do consider nominating your teacher for the two national level awards. Please visit the respective websites hyperlinked below for more information and the online nomination forms. The OYEA is a national award that recognises excellent young teachers for their enthusiasm, energy and active involvement in the development of youth. The PAT recognises excellent educators for their role in moulding the future of our nation. You may also collect the hardcopy form from the GO reception. Thank you and have a wonderful year-end break ahead. Attached is the PDF version of my briefing slides from this morning. You can check out the relevant details from the link to the Google Slide on the second last page. As for the consent forms, please pass them back to your chairpersons by this Thursday for collation, before they can submit them together as a class into my pigeon hole. If you wish to participate in these volunteering opportunities related to the environment theme, please contact Ms Rachel Yau at rachel_yau@sst.edu.sg. After you complete the service, please obtain an official document from the external organisation stating your name and the hours you volunteered. This document must be signed by the personnel in charge or stamped with the official logo of the organisation. 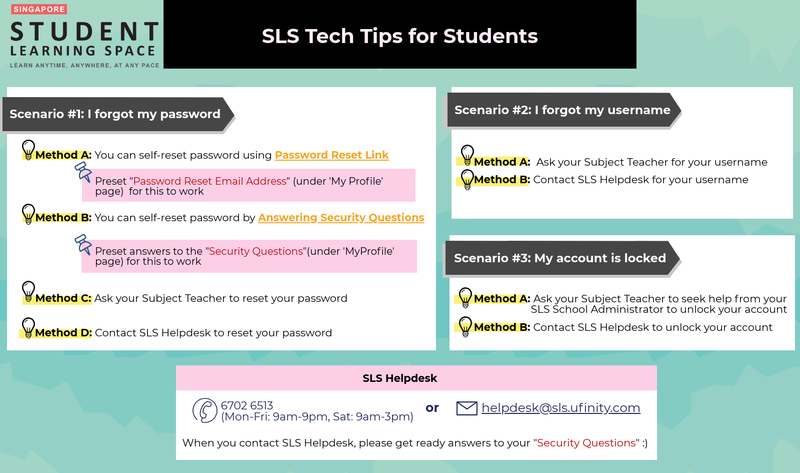 Then submit a copy of the document to Ms Madeleine Chew or Ms Wong Ho Yan within 2 weeks after service, personally or by email to Ms Chew (madeleine_chew@sst.edu.sg) or Ms Wong (wong_ho_yan@sst.edu.sg). If you applied to be a junior student leader next year, please attend a short information session next Monday, 1 Oct at 2:45pm at LO2. At the session, you will find out more information about the selection process. You will also know if you have been shortlisted for the next round.